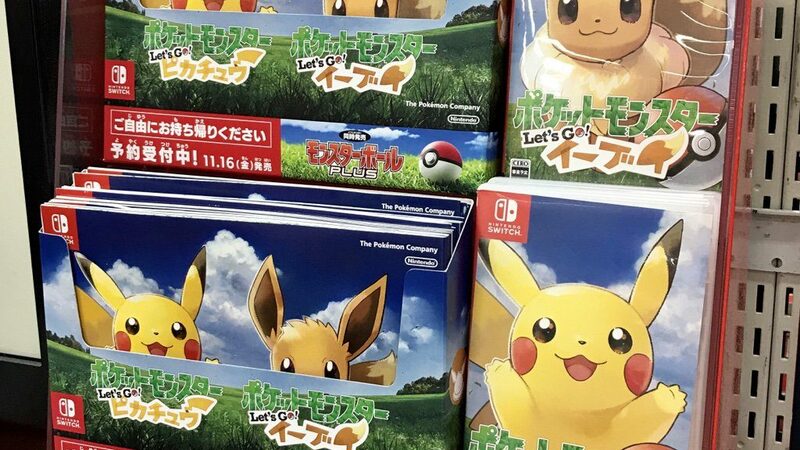 Today we have a piece of really bad news concerning pre-orders for Pokemon Let’s GO Pikachu/Eevee. In recent weeks, pre-orders for the standalone and Poke Ball Plus bundles have dropped below the top 50 bestselling games on Amazon US and Amazon Japan. This is a pretty shocking revelation given that Pokemon Let’s GO Pikachu/Eevee is one of the biggest games of the year and is expected to increase Nintendo Switch sales. We have to remember that when the game was first revealed, it saw strong pre-orders everywhere. For instance, on Amazon Japan, Pokemon Let’s GO Pikachu Poke Ball Plus bundle is currently the 64th bestselling video game product, and on Amazon US, Pokemon Let’s GO Pikachu is No. 61. Meanwhile, Super Smash Bros. Ultimate is No. 2 and No. 1 at both sites respectively. 23. Taiko no Tatsujin: Nintendo Switch Version! It seems that this isn’t an isolated incident on the two Amazon sites, as COMG rankings for Pokemon Let’s GO Pikachu/Eevee have sharply fallen since the game’s initial reveal. While Pokemon Sun and Moon were averaging 300 to 500 points four months before launch, Pokemon Let’s GO Pikachu/Eevee are currently averaging 38 to 92 points four months before launch. The higher the COMG points, the stronger the pre-orders are. Super Smash Bros. Ultimate is currently at 187 points. It is extremely worrying if the trend continues, as Pokemon games have always performed well in terms of pre-orders before launch. Games that have launched a year ago such as The Legend of Zelda: Breath of the Wild and Mario Kart 8 Deluxe are many steps higher than the Pokemon Let’s GO games.